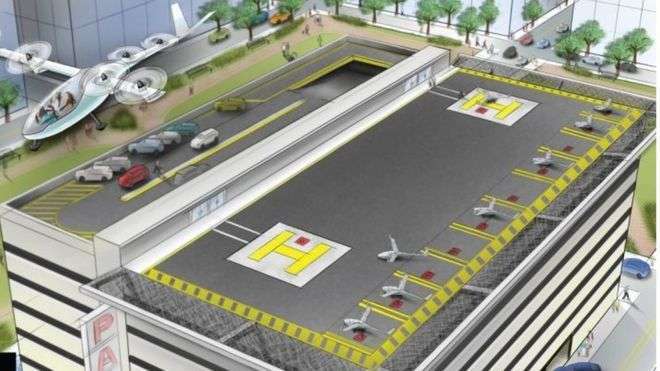 A few months ago, we introduced the Uber vertical take-off and landing (VTOL) event the company put on, which was more a gathering of the minds and technology. Recently, the company announced it could start testing its Uber flying car in Los Angeles by 2020. Living in Southern California has its advantages, but boy do we pay high prices for the privilege of traffic and being on top of each other. Uber has an idea. After its summit, where it attracted the who’s who of the VTOL world and other flying taxis, Uber has announced that the dream could come as soon as 2020 — that is, in the city of Los Angeles. What the company promises, according to its website, is that the use of VTOL aircrafts will completely change the way we live in cities and, of course, our lives. The company promises quicker daily commutes, less traffic congestion, and again, of course, cleaner air. In the company’s live Web Summit held in Lisbon two days ago, Uber’s head of product, Jeff Holden, announced the addition of a third city, Los Angeles, after its Dallas-Fort Worth and Dubai airport plans. The good news is that it wants to start the pilot of its aerial taxi service by 2020, presumably in Los Angeles. But Uber also announced an important part of its plan, the Space Act Agreement signed with NASA. This agreement opens the door to start a much needed new air traffic control for low-flying and autonomous aircraft. By adding Mark Moore to its workforce, Uber has one of NASA’s VTOL experts and veterans to run its Elevate project. You can download Moore’s paper “NASA Puffin Electric Tailsitter VTOL Concept,” where he describes an electric-powered VTOL aircraft. According to Moore, the benefits are zero emissions, a high engine power to weight ratio, high efficiency, and little noise or vibrations. This part is interesting for a few reasons. First, NASA partnering with Uber can be seen as institutional backup from the international space agency. But it also means Uber will have access to NASA’s uncrewed traffic management (UTM) project, first introduced in 2015 to regulate out-of-control drone traffic and its potential life-threatening accidents. It’s hard to gauge the exact state of the competition for Uber, but Boeing and Airbus are also competing in this potentially lucrative space. Holden also seems to agree that “there’s been a great deal of progress that’s been hard to see from the outside because a lot of this is just hard work at the drafting table.” So far, the company reports that it is in the midst of getting its vehicle manufacturing partners aligned on performance specifications. Uber apparently feels good about its progress. How Much For Uber’s Flying Cars & What Can We Expect? Uber has been mum about the price it would charge for a VTOL flight. Of course, it is quick to remind us that the whole point of Uber is to disrupt the taxi economy and open the competition to ridesharing, making it more affordable. As far as what can we expect, the answer is tricky to answer. We’re still at the very beginning of the official VTOL era, if that era is indeed coming. The technology is finally getting there as batteries continue to get better and better energy density and the prices drop — as has happened regularly of the past two decades. What Uber is really saying here is that it will start to test VTOLs in Los Angeles, Dallas Fort-Worth, and Dubai by 2020. We don’t know when the actual flights will be open to the public. Is this a bad thing? No, but it makes for excitement and anticipation. Isn’t that what the news is for these days? In the meantime, we hope Uber’s flying cars take to the skies sooner than later, because this writer doesn’t like to drive to Los Angeles for meetings and events.